In the roll-out for today's release of NBA 2K14, the newest installment of the no. 1 selling basketball video game, 2K Sports is posting interviews with the G.O.A.T., a.k.a. Michael Jordan. While MJ is now 50 years old and hasn't played in an NBA game in a decade, he's still one of the most important figures in the sport (not so much because of his ownership of the Charlotte Bobcats). And since he doesn't grant many interviews, we hang onto his every word. 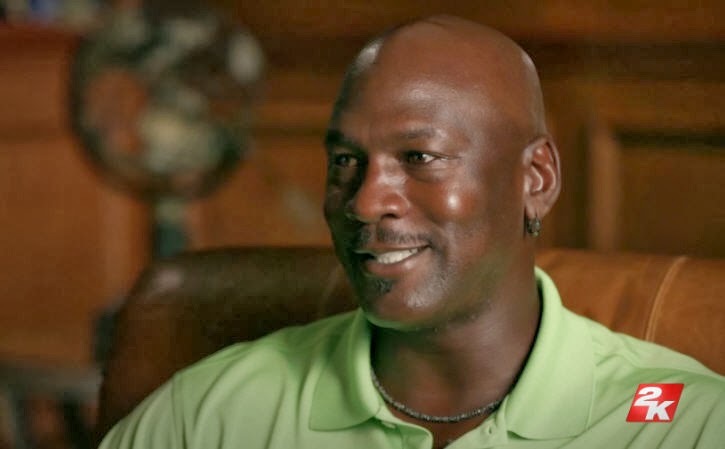 The story that's burning up the 'net today is the recently released interview Jordan did for 2K14, that aired on ESPN, in which he was asked, among other things, which players would he want to play one-on-one if he was in his prime. He lists a bunch of greats who came before him (like Jerry West and Elgin Baylor) and after him, saying he could beat them all, including LeBron James, but "other than Kobe Bryant because he steals all my moves." LeBron is on the cover of 2K14 by the way. But another piece of news came out of MJ's mouth during these interview segments, and it's floating a little beneath the radar. In one of the snippets posted on the 2K Sports YouTube channel, the greatest basketball player of all time reveals that he is not a twerker. What is up with mainstream America's current and ongoing fascination with twerking? As if it wasn't around back in 2000 when rappers were making hit songs about it (remember the Ying Yang Twins?). I'm pretty sure Jordan wouldn't have brought it up on his own--clearly he was asked a question about twerking. Well, for one thing, "twerking" most probably was not a popular term during Michael Jordan's younger times. Twerking is mostly covered by the sensual dirty dancing moves of the 80's-90's.